This is the first in a series of carving I want to do focusing on different fantasy creatures. The idea was to create wall decor for a gaming space that reflected something along the lines of a trophy. My players had just recently finished a run through of the Sunless Citadel so I thought a goblin would be a suitable starting point. The piece is carved in basswood I purchased from a box craft store. 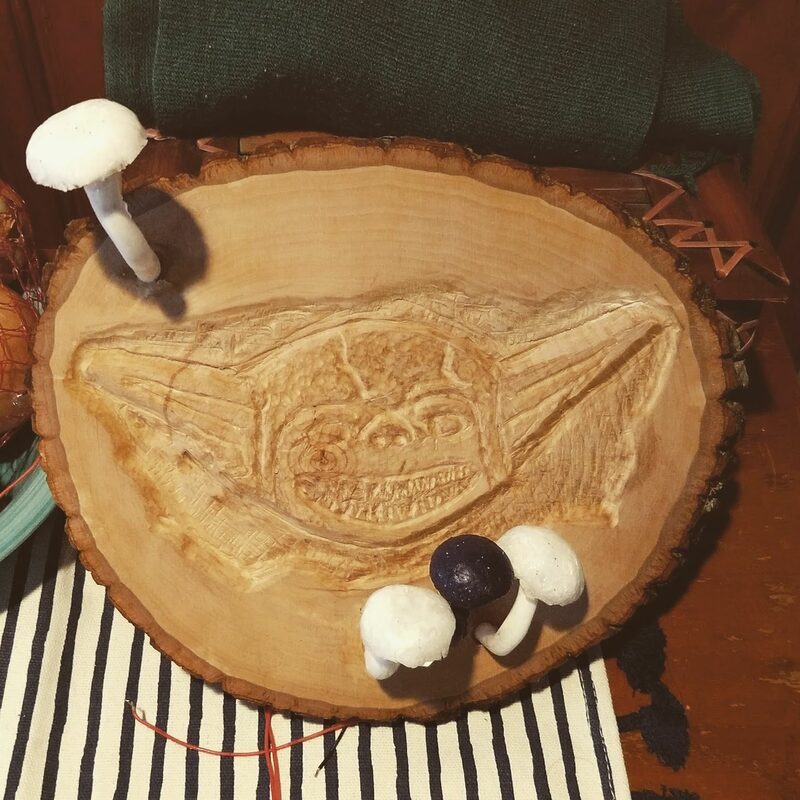 I drafted the image and then used my dremel to power carve it out. It features custom LED mushroom lights that were fabricated for this project. 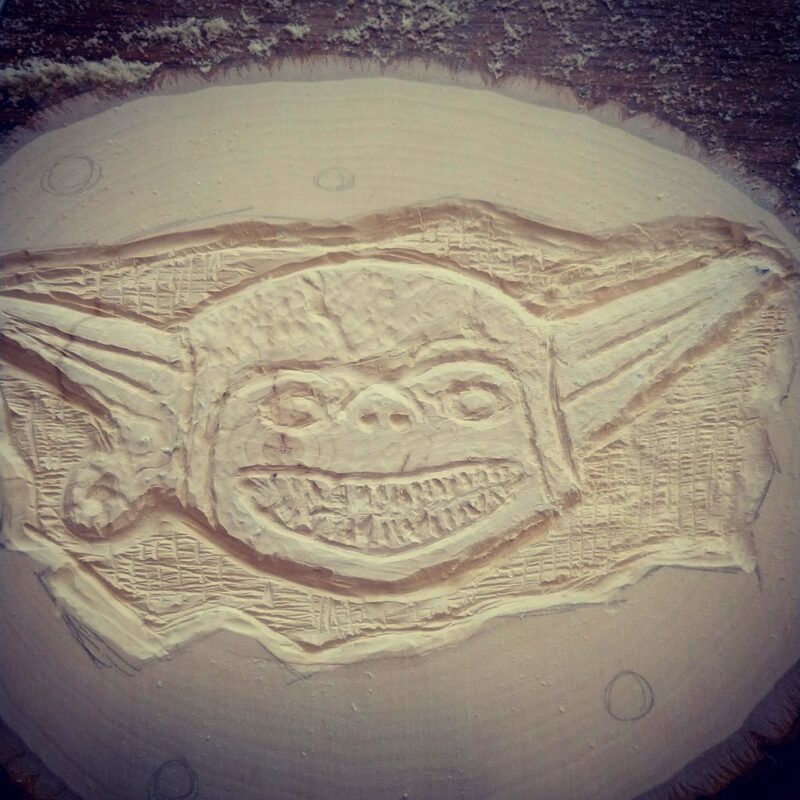 First pass at carving. I later removed the earring because I couldn’t get the detail I wanted. 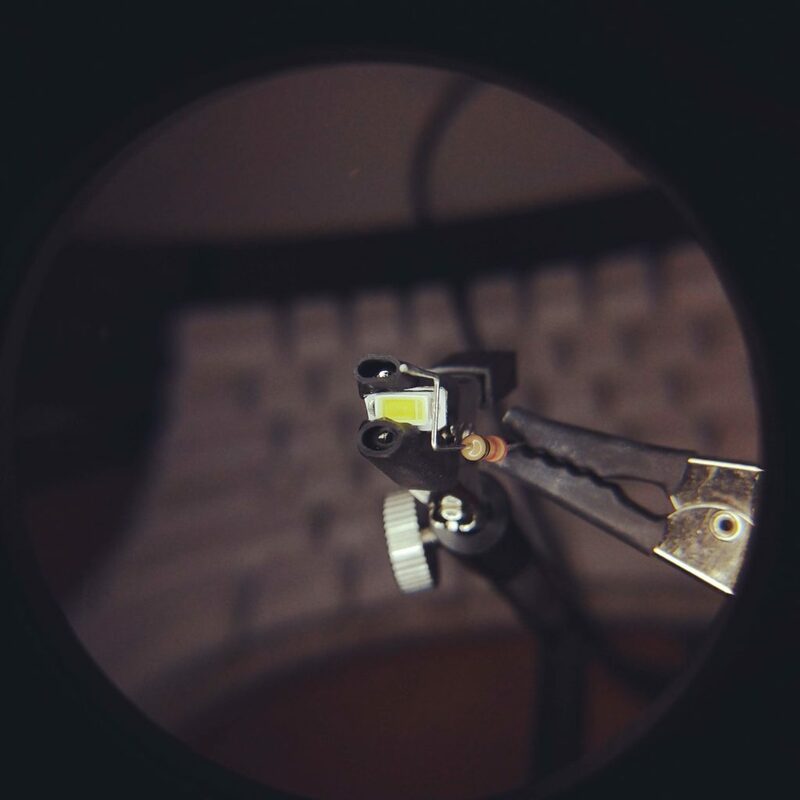 After the carving I soldered these white LEDs to a 22ohm resistor as the lights will be powered by 3 AA batteries. 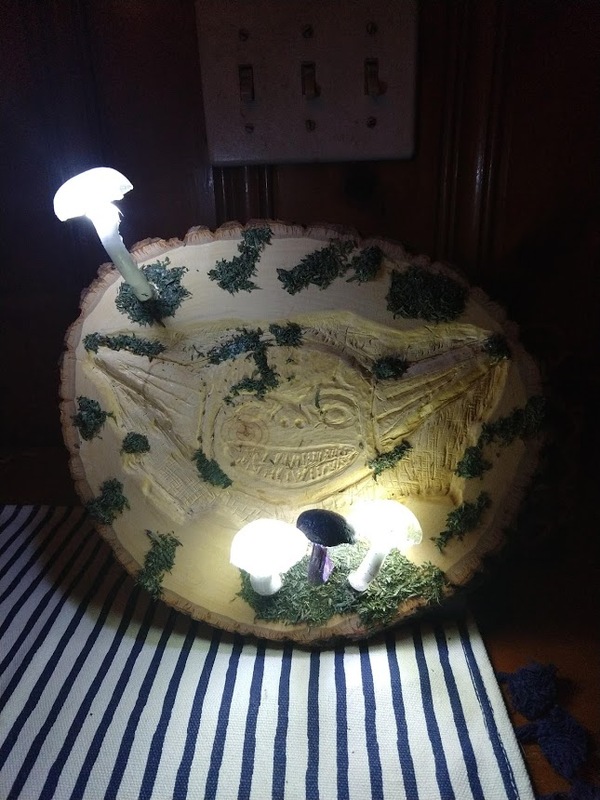 The electronics were then molded in silicone to give them a mushroom appearance. Here the mushrooms are installed right before they were all wired together.